An Austrian student group called Europe vs. Facebook is planning to take Facebook to court for its alleged refusal, despite many requests and complaints filed by the group, to meet Europe’s data privacy regulations. Max Schrems, the 25-year-old Austrian man responsible for organizing the group, says that Facebook has been slow to respond to demands for change to its European privacy policies, if they responded at all. The group is currently raising money to take Facebook to court in Ireland, the company’s European base, and a place where they have already demonstrated some traction. Because of the 22 complaints the group filed in 2010 with the Office of the Data Protection Commissioner in Ireland, the office issued a decree in September scolding Facebook’s privacy practices in Europe and requiring them to scale back some of their policies. 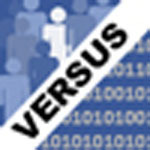 The largest issue Facebook faces in Europe is the site’s use of user data in targeted advertising. That is a practice that has met with stiff opposition in national laws around Europe and has drawn harsh criticism from privacy watchdog groups. Schrems met last February with a European Facebook official and an executive from the company from California, but he failed to move them to act as much as he and his group desired. That’s why, he says, he’s taking the social media behemoth to court.